Many of us will have imagined what a simpler way of life might be like. Perhaps we envisage a smallholding with chickens and a vegetable patch, or to build and live in an eco-house constructed from reused materials that is energy efficient. It is easy to romanticise a life lived in harmony with nature, but what is the reality really like? 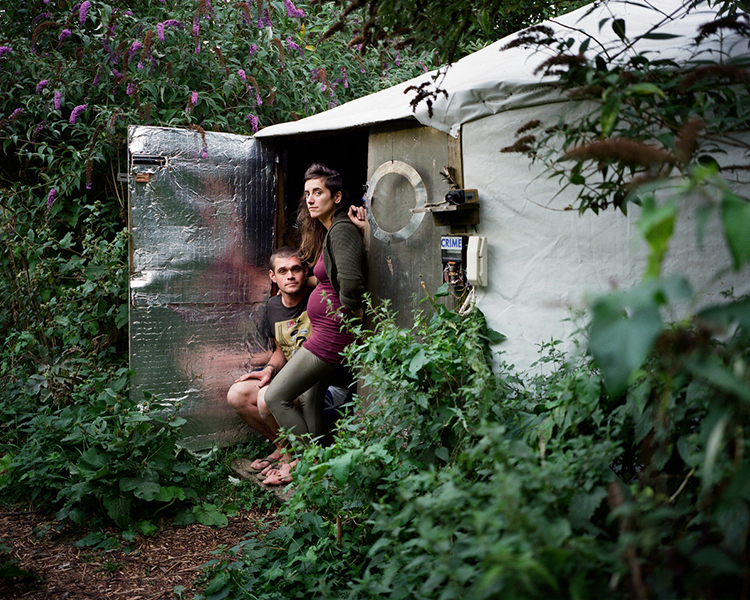 Photographers Jonathan Goldberg and Amanda Jackson have spent months independently documenting everyday life in two communities that have evolved around sustainable living: Jackson at Lammas Ecovillage in North Pembrokeshire, Wales, and Goldberg at Grow Heathrow in the village of Sipson in Middlesex, close to Heathrow Airport. 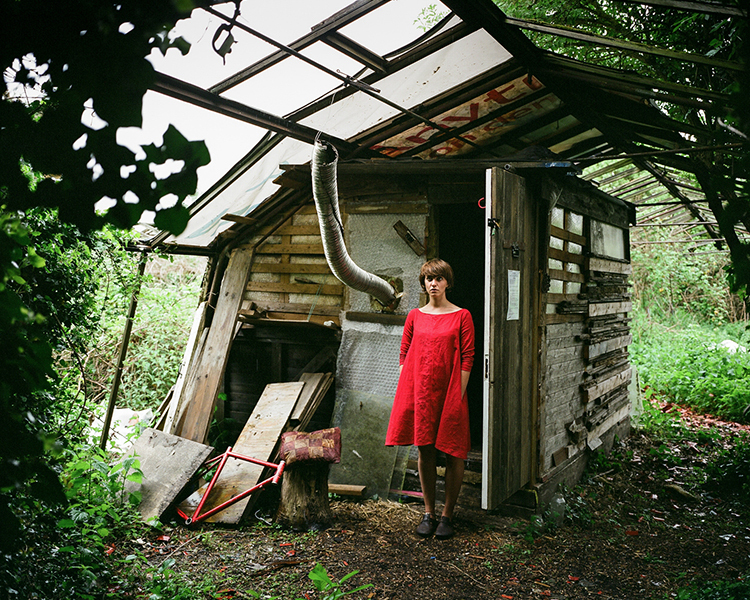 United by their respective desires to explore, show, and celebrate low-impact community-based living in the UK, Goldberg and Jackson decided to work together to produce the new exhibition, Off the Beaten Track at Oriel Colwyn gallery. On show are prints from Goldberg’s The Runway Stops Here (Grow Heathrow) and Jackson’s To Build A Home. The exhibition not only offers a glimpse into what life is like in each of these unique communities, but also explores the similarities and differences between them. 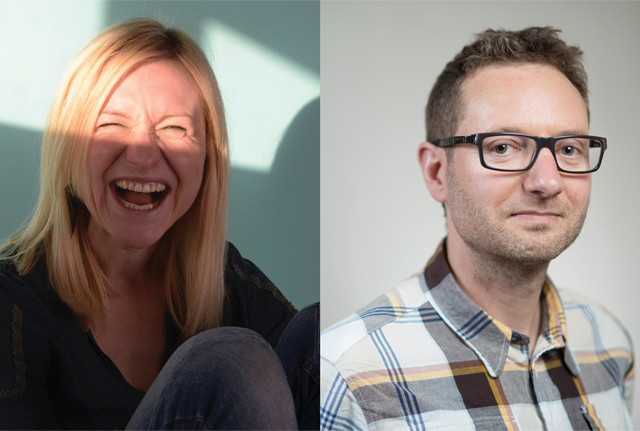 Both came to be around seven or eight years ago and are home to people that have turned away from mainstream society; yet each community has evolved in its own way. The site where Grow Heathrow is located – an abandoned plant nursery in West London – was first occupied by environmental protesters angry at proposals to build a third runway at the airport. The aim was to create a ‘hub’ for local residents to campaign against the intended demolition of their houses, but the space has evolved into an eco-village in its own right – houses have been built using sustainable materials, solar panels and a wind turbine provide power, and there are insulated greenhouses and cooking facilities. Goldberg came across the site in 2011. Struck by the warm welcome he received and feeling as though he had stumbled upon a utopia, he was moved to take pictures, initially at events, and over time began to regularly document life on the site. His sensitive images depict the everyday comings and goings and personalities of the residents, some of who have stayed weeks, and others, years. But life isn’t always rosy: the threat of eviction is never far away and winters can be cold and bleak. 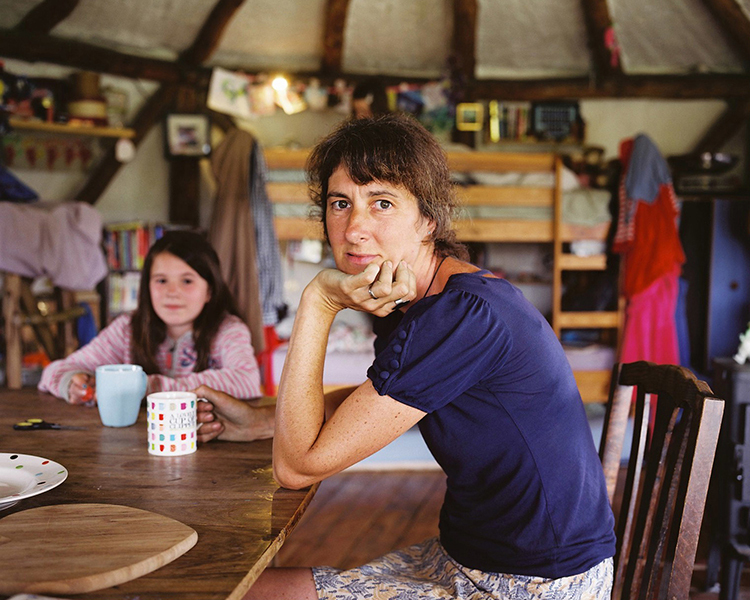 Jackson visited Lammas at Tir y Gafel twice in 2010 and was so taken by the community that she bought a plot nearby and began to divide her time between there and her home in Malvern. She started photographing Lammas, which comprises nine smallholdings, during her first visit, capturing, like Goldberg, the intrinsic qualities of a community of people that has chosen a sustainable way of life based on shared values, away from conventional infrastructures. 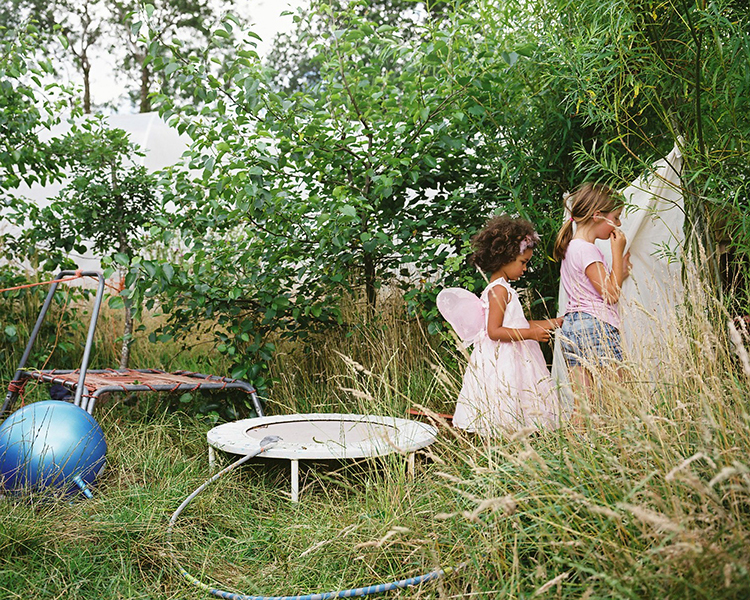 We see inside cosy abodes made from materials sourced predominately from the land, lush green pastures, and carefree children dressed as fairies. A timelessness and intimacy pervades Jackson’s images, but like Goldberg’s project, To Build A Home asks if the charming ‘dream’ that is sustainable living is really as idyllic as it seems. The projects, and indeed the exhibition as a whole, offer no concrete answers. Their intentions, the photographers say, are to show how people in these places live – what it’s like to ‘rebel’ against the mainstream and to live the life you want. In such turbulent times there is something comforting in knowing that communities such as these, which thrive on trust and collaboration, exist.